« How does walking make YOU feel? 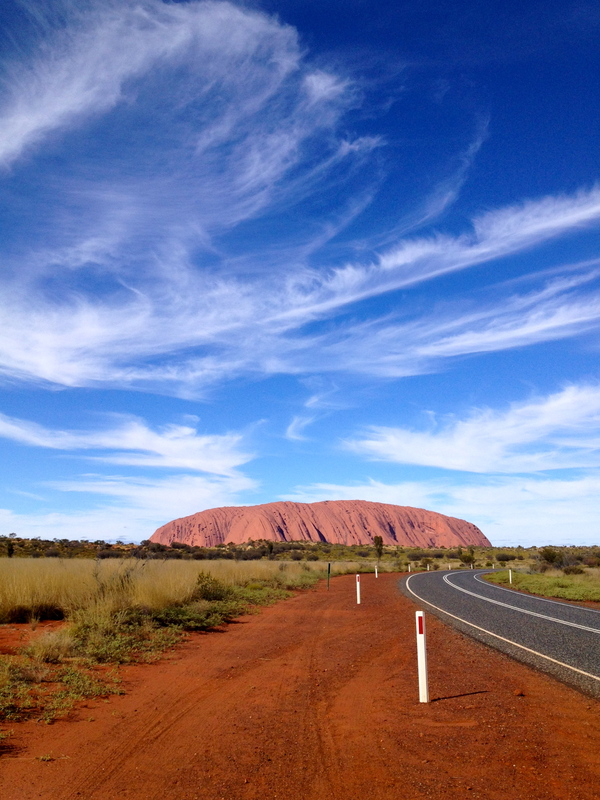 I had the fantastic good fortune to have a long weekend for my birthday up at Uluru-Kata Tjuta (Ayers Rock and The Olgas) National Park in the Northern Territory last weekend. I have wanted to visit there for many years and all the stars were finally in alignment. The weather is just perfect for walking there at the moment – blue skies and 20-21C in the day, down to freezing at night – which means getting up for the obligatory sunrises involves many layers, gloves, beanies, scarves – not what you think of normally in the middle of the desert! 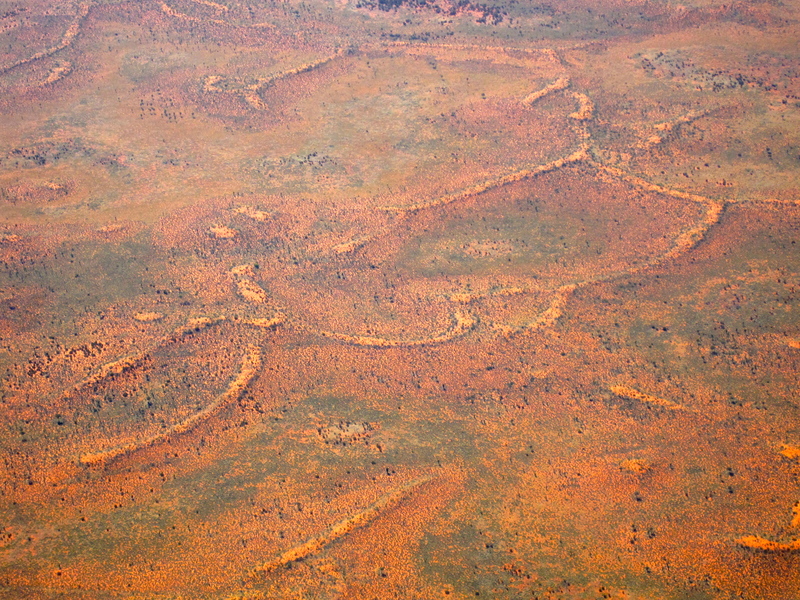 The flight into Uluru via Sydney is absolutely spectacular, taking you across the red ‘channel’ country and expansive white salt lakes – you can really see where the imagery in the Central Desert ‘dot’ paintings comes from when you see the land from above. 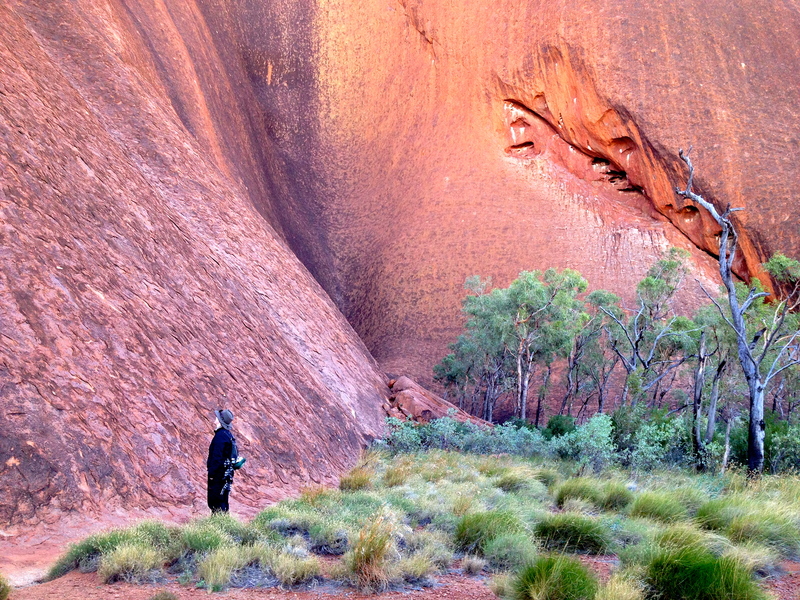 I kicked off with a 12km sunrise walk around the base of Uluru itself, and chose a guided option so I could learn about the Anangu creation stories of this incredible rock, which is thought to extend for 6km beneath the earth. 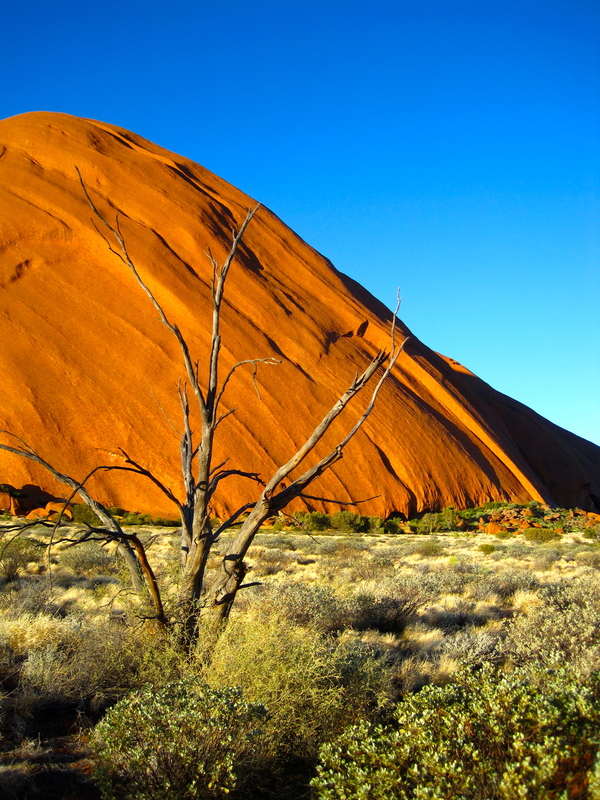 It really is worth taking this stroll with a guide, so that you can understand a little about Country and about how important it is NOT to climb Uluru, which is a sacred place for the Anangu and which causes hurt and sorrow every time someone climbs it. At least then, you can make an informed choice about whether or not you choose to climb the rock. 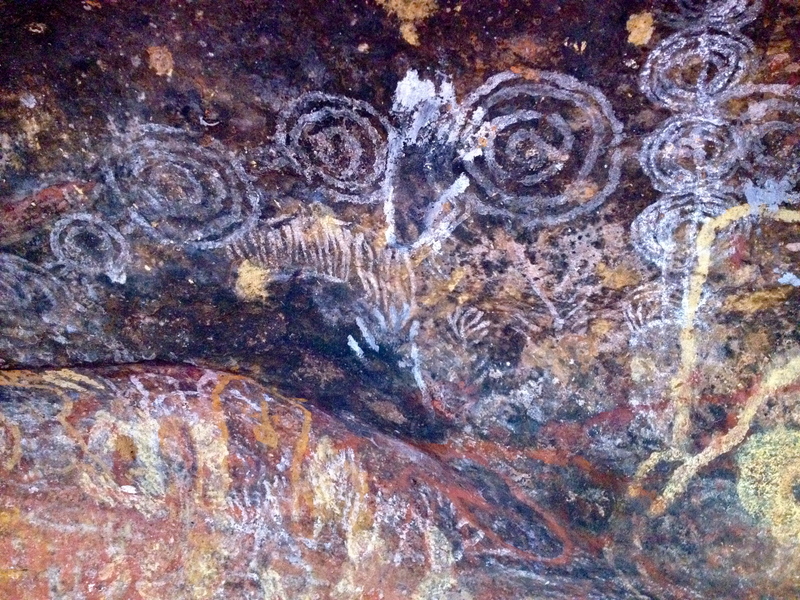 The base walk, though, is more than fascinating – I didn’t realise there were lush groves of river red gums and permanent waterholes at its base; ‘teaching caves’ full of rock art and stunning gorges. 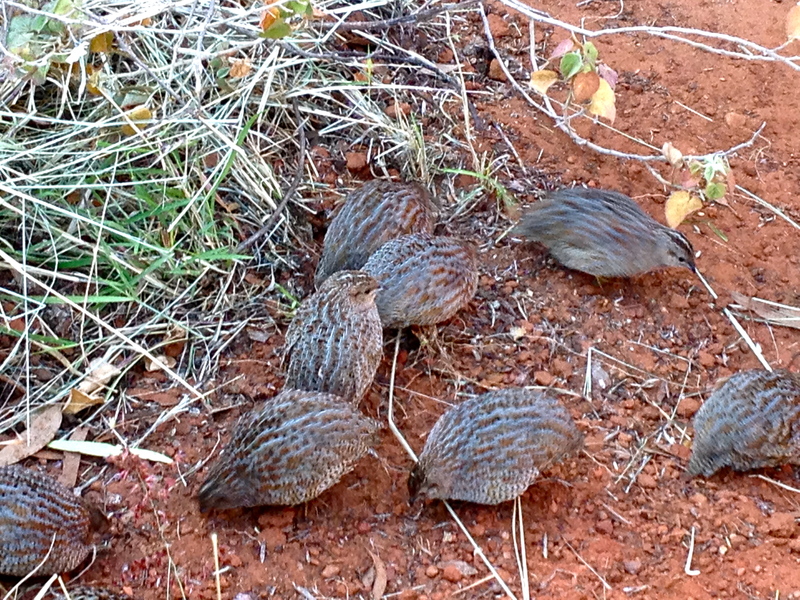 There was also a family group of button quail wandering around under foot and we saw both eastern red kangaroos and wild (feral) camels as well. The Red Centre has had 3 years in a row of exceptional rainfall, so the land is looking just incredible at the moment – perfect timing for a visit if you can manage it. 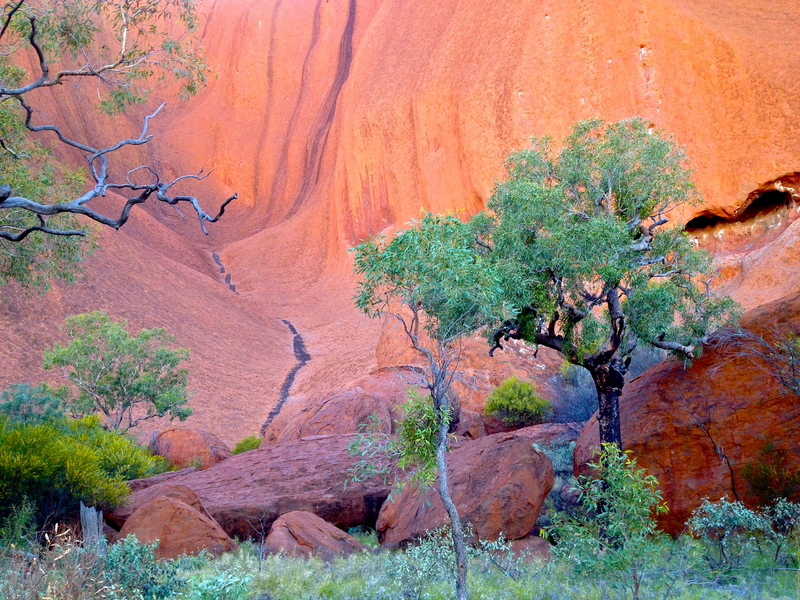 The colours of Uluru are everything you have imagined and much more – I was overwhelmed. While it can be expensive at the Yulara resort, just outside the National Park, and the only accommodation option, I stayed at the youth hostel in a lovely warm dorm with lots and lots of Americans, and there is also a campground, which means you can have an affordable visit. 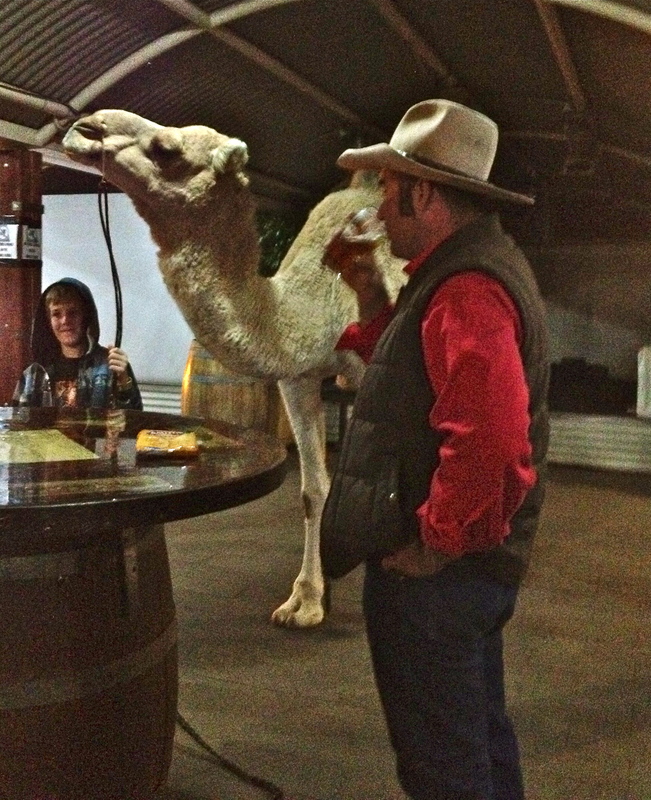 One of the ‘Only in Australia’ moments for me had to be when a bloke wandered into the pub with his camel for a drink in the evening. As you do! Looks stunning Julie! I’m pricing flights and accommodation right now! wow what great photos! what did the camel have to drink? I did ask whether the beer was for the camel or the bloke, but I guess as you can’t get 100 litre pots, then the camel was abstaining for the night!